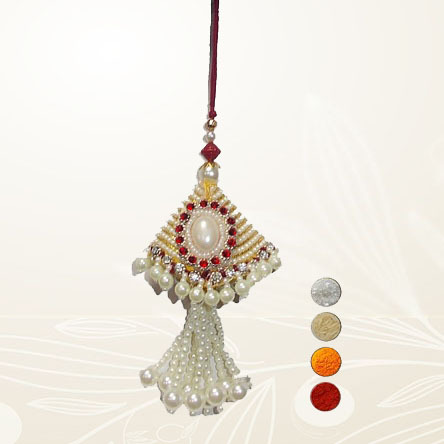 This a lovely set consisting of four elegant and designer rakhis whish are skillfully crafted with beads, pearls, american diamonds and marvelous motifs. In fact the set consists of two sets for two Bhaiya and two Bhabhi. 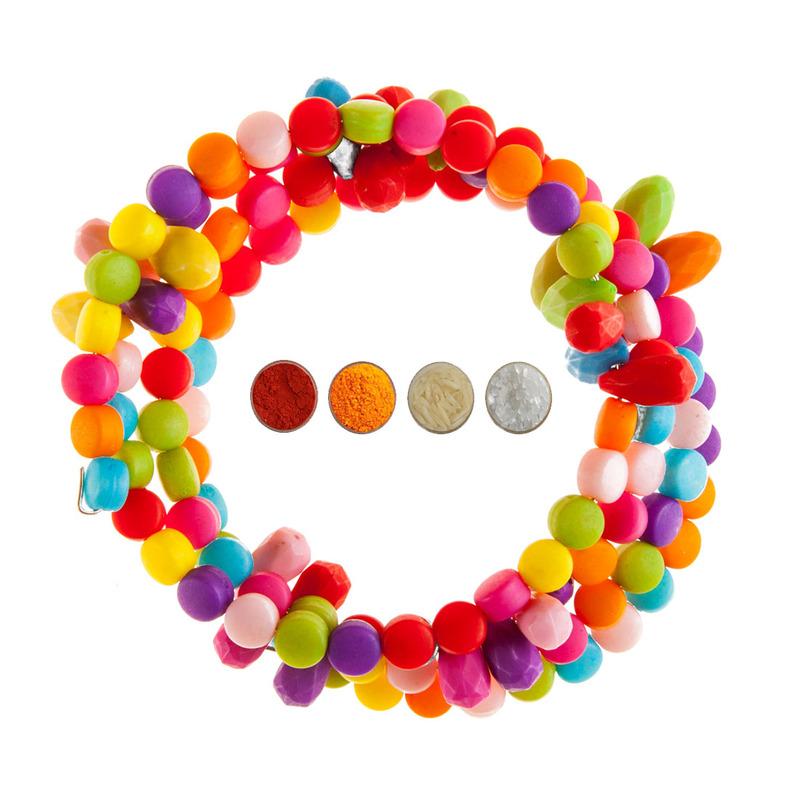 The first set is consists of handcrafted zardosi rakhis � one for Bhaiya and one for Bhabhi. 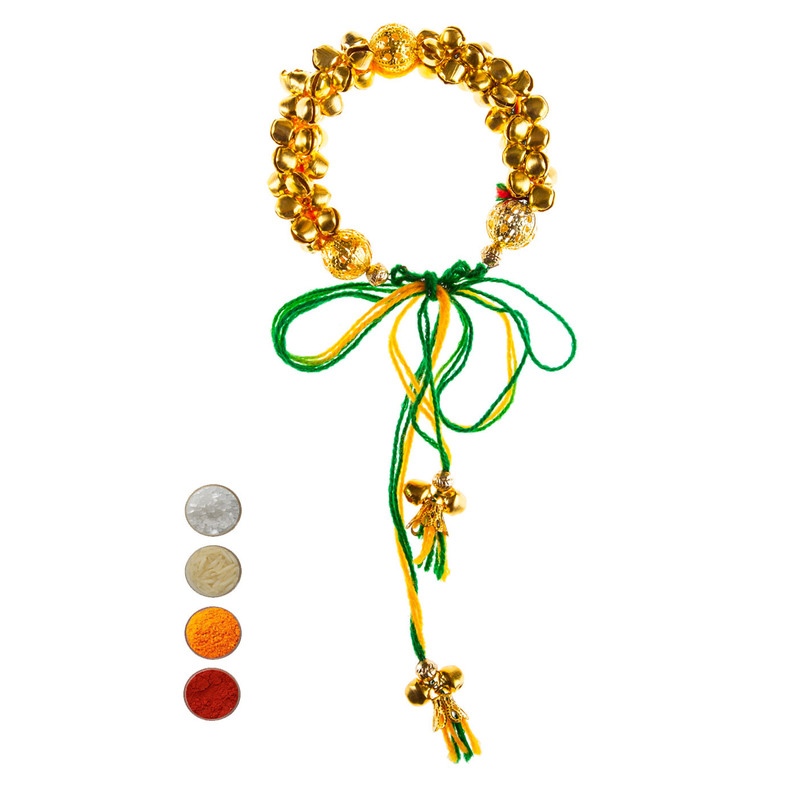 These rakhis are designed with green, orange & yellow beads and american diamonds. 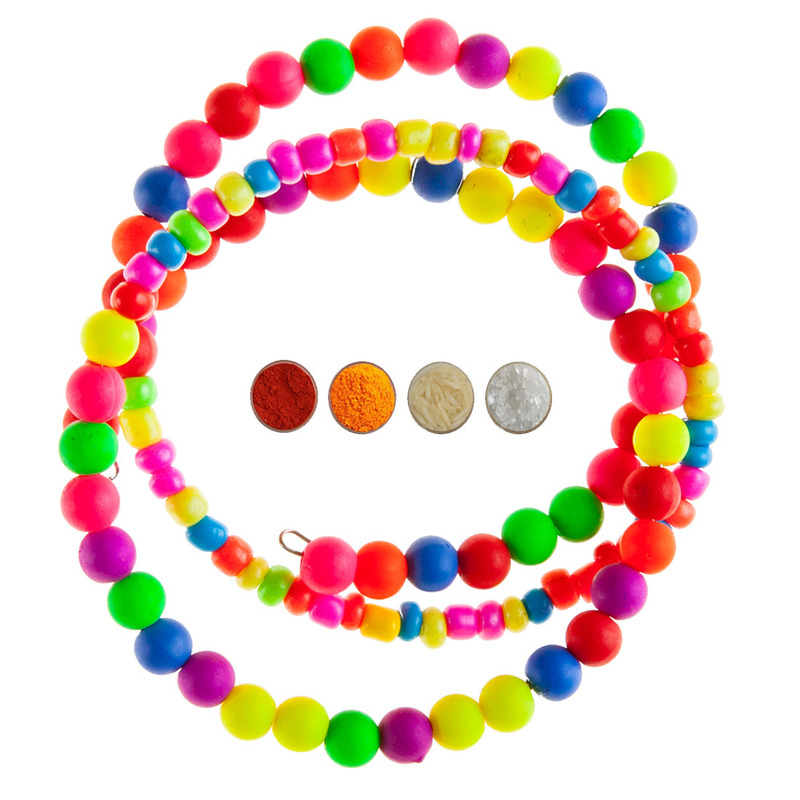 The colors of threads and rakhis are orange and green. 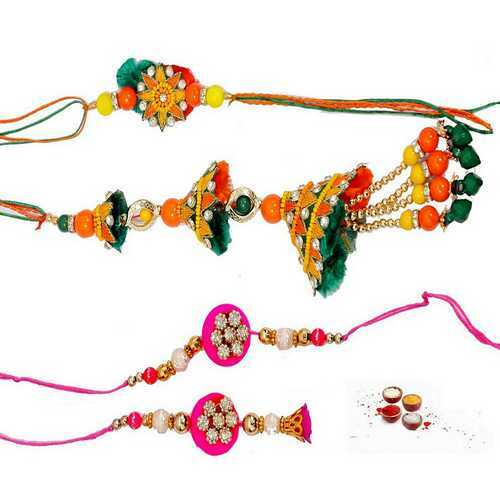 The second set for Bhaiya and Bhabhi consists of pink rakhis designed with sparkling american diamonds / premium stones, and golden & pink beads. Both sets look very attractive and elegant. Send your love and wishes to your dearest brothers and Bhabhi this festival with these stunning zardosi handcrafted and premium stones rakhis. 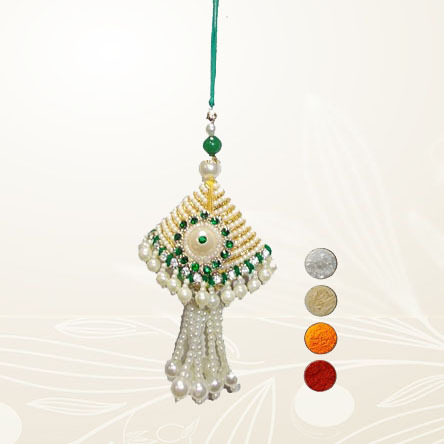 We are offering these rakhis with free Roli, Chawal, Chandan and Mishri in very attractive pack.